Did you know that 90% of adults and children do not eat the recommended amount of fruits and veggies each day!? Additionally, individuals who consume plenty of fruits and vegetables have overall better health and lower risk for chronic disease including: obesity, heart disease, high blood pressure, type 2 diabetes, and certain types of cancer. 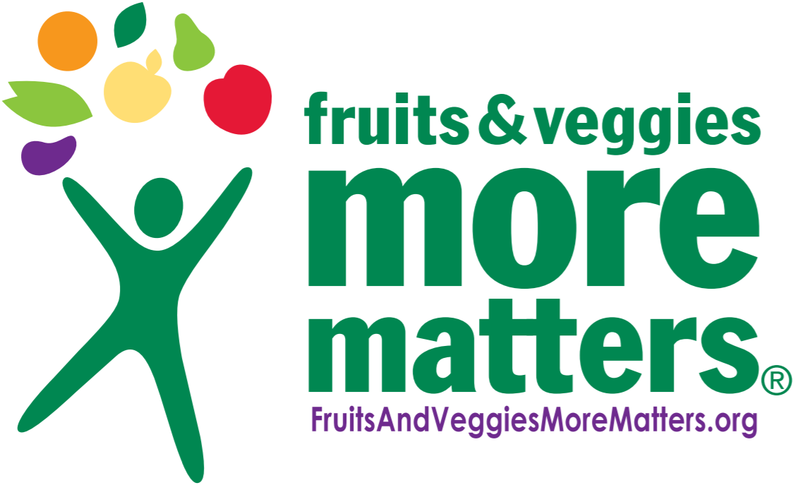 September celebrates Fruits and Veggies More Matters Month and draws importance to eating more fruits and veggies! When it comes to eating fruits and veggies, a good way to ensure you are eating enough is to make sure you fill half of your plates with fruits and/or veggies. From berries with cereal at breakfast to carrot sticks or grapes for snacks and both an apple and veggies on a pizza or sandwich at lunch, there are delicious ways to fill your plates that include fruits and veggies! In addition to making sure half of your plates are filled with fruits and veggies, it is also important to go for color. Each different color of fruits and veggies gives our bodies different nutrients. If we always eat white or brown veggies such as potatoes, onions, and cauliflower, while those are healthy, we would be missing out on lots of other nutrients. A good rule of thumb is to choose different colored fruits and veggies throughout the day. For example, if you eat an apple for lunch, instead of a pear at dinner, choose strawberries or blueberries or a mango instead. Satisfying your taste buds and nutritional needs is easy with help from our friends at Produce for Better Health. This recipe highlights canned beans. No salt OR sugar added canned and no salt OR sugar added frozen fruit and veggies are just as nutritious as fresh and great to include in and with meals. And here are more recipes from Produce for Better Health. Set the oven to 350°F. Stir the chicken, beans, corn, garlic, three-fourths of the green onions, the chili powder, soup and lime juice in a large bowl. Spread about 1/4 cup chicken mixture the bottom of an 8x8x2-inch baking dish. Arrange 4 tortilla halves on the chicken mixture, straight edges facing out against the edges of the dish. Top with half the remaining chicken mixture. Repeat with the remaining tortilla halves and the remaining chicken mixture. Cover the baking dish. Bake for 30 minutes or until hot. Uncover the baking dish. Sprinkle with the cheese. Bake, uncovered, for 5 minutes or until the cheese is melted. Sprinkle with the remaining green onions. So this September, and always, try to fill half of your plates with fruits and veggies and remember, adding color to your plate is not only pretty, but is good for your health too! Shop our fresh produce, canned, and frozen sections for the best selection of fruits and veggies today!